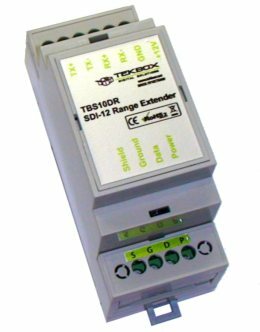 The TBS10DR range extender is a SDI-12 to RS485 converter device which works together with the TBS07 RS485 to SDI-12 interface. It transparently, bidirectionally forwards SDI-12 commands and SDI-12 measurement responses. 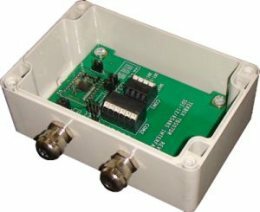 The TBS10DR connects to the SDI-12 interface of a data logger or telemetry unit on one end and to one or more TBS07DR on the other end which are connected to SDI-12 sensors. 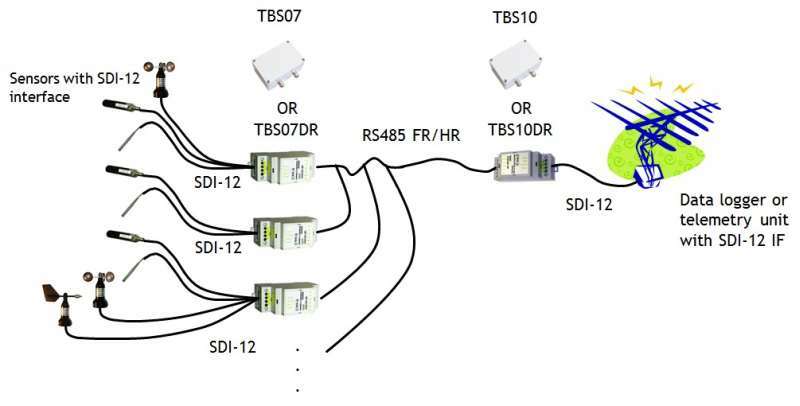 The SDI-12 range extender is designed for sensor networks spread across a large area or covering larger distances than specified for SDI-12 cable links.